What are the benefits of water play for children across Australia? Who doesn't love a splash in the water during these hot Australian summers? For kids, water play isn't just refreshing, it can be extremely beneficial for their development. 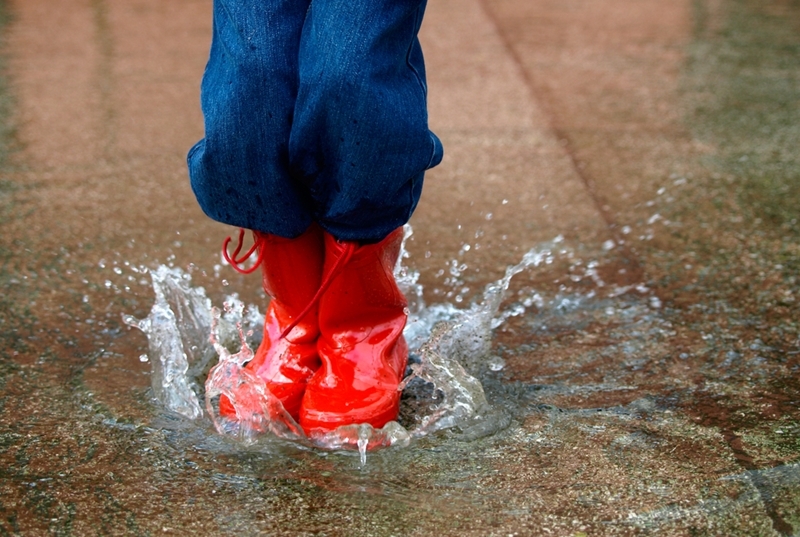 Incorporating water into play time can result in big benefits for children. Water play is a fun way for children to expand their motor skills, improve their strength and even develop their language skills. What's not to love? Let's take a look at six core benefits of water play for kids. Playing with water helps to develop a child's hand-eye coordination through various movements. Actions like pouring, squeezing, scrubbing, stirring and squirting help develop the pincer grip over time. This grip is used to hold pencils correctly, meaning the movements children learn during water play can potentially help their penmanship in the future. Remember the first time you tried to run in water? The resistance was surely a shock! Water adds resistance to play activities, meaning it doubles as a bit of strength training. That's because it takes more muscle strength to move your limbs through water than it does through air. Balance also plays a big role in water play. Simple activities become a whole new experience. From jumping to clapping to spinning around, children can test out maintaining their balance with this new element in a safe environment! When you introduce water into any play scenario, it reshapes old sensory experiences. Think of water mixing with sand, a stream of water ricocheting off the ground, a spray nozzle hitting a nearby tree – all of these occurrences help build up a child's tactile skills and sensory library. Science and maths lessons come from water play? Yup, you heard us right! Water can help children learn more about concepts such as volume, measurement and estimation. Using buckets and water, children will be introduced to full and empty, more and less and greater and less than. As well as learning about measuring quantities, children will understand how water interacts with different objects and structures. When you introduce water into any play scenario it reshapes old sensory experiences. If you've never played with water, it can be a bit intimidating. Water play in playgrounds can be a great way to slowly introduce this new element. It's a safe environment with other areas for play when a break is needed. Water play is great for sparking conversations between children. Often, you'll see kids creating imaginative scenarios in these spaces opening up the floor for problem-solving and communication. Certain water play equipment also encourages children to work together to manipulate water flow, making teamwork a key component of their fun! Water play and playgrounds are a perfect match. Children are given the opportunity to explore all the benefits of interacting with water while also enjoying the outdoors and additional playground equipment. Flexible sprays: Directional sprays give playground-goers the ability to control water streams, making an excellent starting point for imaginative play. Fountains: Fountains are a nice calm addition to any playground. Whether kids want to run under the fountains or just dip their toe beneath, these structures provide an easy introduction to water. Water and sandboxes: Let children experiment with combining elements in one workstation. Water and sand play opens up a whole new sensory experience. Slides: These are a crowd favourite. Water slides add a little extra speed to the journey and a lot of extra fun. The benefits of water play are clear and the various playground equipment that facilitates this is exciting. However, building a playground with water play does involve some unique hurdles. Planning and permissions are key here. You need to apply for and receive certain permits and ensure the appropriate equipment is shipped correctly. Beyond this, you need to consider water supplies. Where will your water come from? Will your water use be compliant with local laws? Playrope is here to help you will all these details. For over 15 years, our expert team has been creating fully compliant and truly exceptional playgrounds of all kinds. Let us help make your vision a reality. Reach out to the team today! Next articleWhy do all kids need outdoor play?